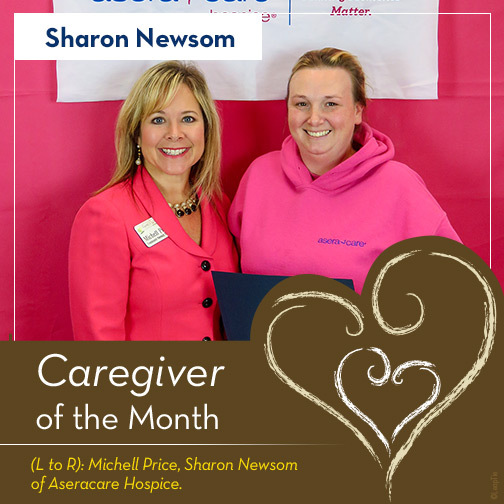 Please join us in congratulating our latest Caregiver of the Month, Sharon Newsom, of Aseracare Hospice. Sharon Newsom goes above and beyond the call of duty. Recently, she cared for a very young man and made his end of life journey extra special. She also cares for more patients than any of our staffers because caring for others is her mission in life. She has attended evening classes for years to study nursing and recently graduated from nursing school at MTSU. Sharon is an angel serving middle Tennessee.